We are offering 1325G Fiber Steel Laser Cutting Machine to our clients. LM1313FL Small Fiber Laser Cutting Machine is a low power model used to cut thin metal within 12mm, also is highly cost-effective. This model can only cut metal sheet, nonmetal materials not allowed. Top quality fiber laser generator Raycus brand(option IPG), with great and stable performance, having the lifespan of 100,000 hours. Imported high-performance reducer, gear, and rack. 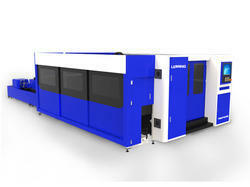 LM1313FL fiber steel laser cutting machine is applied in the advertisement, decoration, craft, sheet metal, electrical appliances, household appliances and other manufacturing industries. 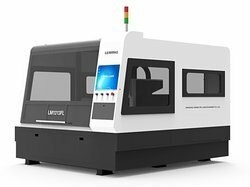 LM2513FL Fiber Steel Laser Cutting Machine is a low power model used to cut thin metal within 12mm, also is highly cost-effective. 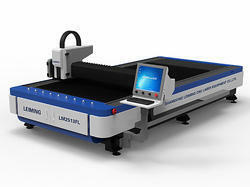 This model can only cut metal sheet, nonmetal materials not allowed. For details and price about it, just send inquiry (click "inquiry" above) to us and welcome to visit our company. Top quality fiber laser generator Raycus brand (option IPG), with great and stable performance, having the lifespan of 100,000 hours. 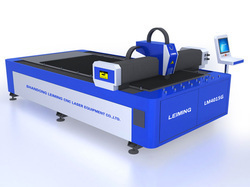 LM2513FL fiber steel laser cutting machine is applied in the advertisement, decoration, craft, sheet metal, electrical appliances, household appliances and other manufacturing industries. Top quality fiber laser generator Raycus brand(option IPG), with great and stable performance, having a lifespan of 100,000 hours. Metal Plate Fiber Laser Cutter LM2513G is especially for cutting 0.5-14mm carbon steel plates, 0.5-8mm stainless steel, galvanized steel plates, electrolytic zinc-coated steel, 0.5-6mm aluminum sheet and 0.5-5mm brass and other thin metal materials. Shuttle Table Fiber Laser Cutter LM3015A is especially for cutting 0.5-14mm carbon steel plates, 0.5-8mm stainless steel, galvanized steel plates, electrolytic zinc-coated steel, 0.5-6mm aluminum sheet and 0.5-5mm brass and other thin metal materials. Double working platform saves time for feeding and laying off. High accelerated speed enhances working efficiency. The machine is especially used for cutting 0.4-16mm carbon steel; 0.4-8mm stainless steel, galvanized steel; 0.4-8mm aluminum alloy; 0.4-6mm brass and various other thin metal. 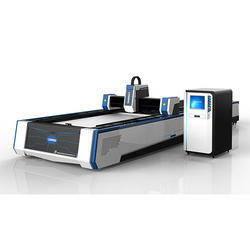 LM3015AM3 fiber laser cutter is able to cut both metal sheets and metal tubes, it is equipped with exchange table for uploading materials freely, saving time and cost. It's worth mentioning that it looks beautiful in design. Cutting metal sheets and metal pipes, cost-saving and high-performance cost ratio. Our machine can cut round tube diameter from 20mm to 200mm, square tube diameter from 20*20mm to 140*140mm. Imported original fiber laser generator with great and stable performance to have a lifespan of 100,000 hours. 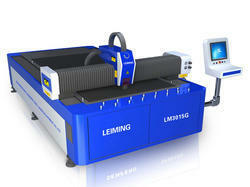 High cutting quality and efficiency with cutting speed up to 25m/min and beautiful, smooth cutting edge. High-performance reducer, gear, and rack; guide rail and ball screw to guarantee stable running. The machine is especially used for cutting 0.4-20mm carbon steel; 0.4-10mm stainless steel, galvanized steel; 0.4-8mm aluminum alloy; 0.4-6mm brass and various other thin metal. 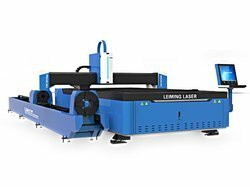 Sheet Metal Fiber Laser Cutter LM3015G is especially for cutting 0.5-12mm carbon steel plates, 0.5-8mm stainless steel, galvanized steel plates, electrolytic zinc-coated steel, 0.5-5mm aluminum sheet and 0.5-4mm brass and other thin metal materials. Stable welding machine body, ensuring the cutting speed stable and fast. Full Cover Fiber Laser Cutter LM3015H is especially for cutting 0.4-20mm carbon steel plates, 0.4-14mm stainless steel, galvanized steel plates, electrolytic zinc-coated steel, 0.4-10mm aluminum sheet and 0.4-8mm brass and other thin metal materials. 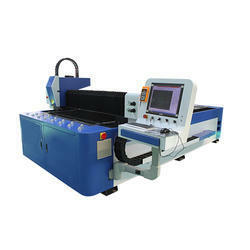 Stable tube-welding machine body, ensuring the cutting speed stable and fast. Metal Plate Fiber Laser Cutting Machine LM4015G is especially for cutting 0.4-20mm carbon steel plates, 0.4-14mm stainless steel, galvanized steel plates, electrolytic zinc-coated steel, 0.4-10mm aluminum sheet and 0.4-8mm brass and other thin metal materials. 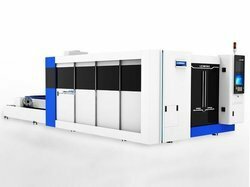 Full Protection Fiber Laser Cutting Machine LM4020H is especially for cutting 0.4-20mm carbon steel plates, 0.4-14mm stainless steel, galvanized steel plates, electrolytic zinc-coated steel, 0.4-10mm aluminum sheet and 0.4-8mm brass and other thin metal materials. 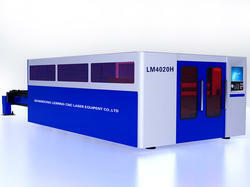 Shuttle Platform Fiber Laser Cutting Machine LM4020A is especially for cutting 0.4-20mm carbon steel plates, 0.4-14mm stainless steel, galvanized steel plates, electrolytic zinc-coated steel, 0.4-10mm aluminum sheet and 0.4-8mm brass and other thin metal materials. 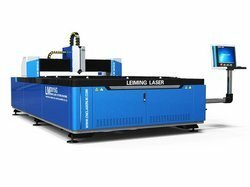 LM3015FL Fiber Laser Metal Cutting Machine is a low power model with competitive price, it can cut maximum 12mm thickness carbon steel, and if you want a quotation, just send inquiry (click "inquiry" above) and our sales manager will reply u with photos and videos and other details. LM3015FL Fiber Laser Metal Cutting Machine is applied in the advertisement, decoration, craft, sheet metal, electrical appliances, household appliances and other manufacturing industries. Imported original fiber laser generator with great and stable performance to have the lifespan of 100,000 hours. High cutting quality and efficiency with cutting speed up to 60m/min and beautiful, smooth cutting edge. 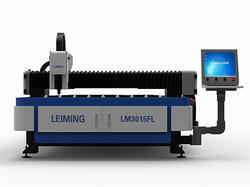 Special CNC system for laser cutting, servo motors and high precision gear and rack. High efficiency and low operating cost for steel plate with medium and high thickness especially. Cutting up to 24mm CS, 14mm SS, 12mm Aluminum, 10mm brass and can cut round tube diameter from 20mm to 200mm, square tube diameter from 20*20mm to 140*140mm. Full protection metal plates and pipes fiber laser cutter LM3015HM3 is especially for cutting 0.4-24mm carbon steel plates(pipes), 0.4-14mm stainless steel(pipes), galvanized steel plates and pipes, electrolytic zinc-coated steel(pipes), 0.4-12mm aluminum sheet(pipes) and 0.4-6mm brass(pipes) and other thin metal materials. Cutting up to 20mm CS, 10mm SS, 8mm Aluminum, 6mm brass and cut round tube diameter from 20mm to 200mm, square tube diameter from 20*20mm to 140*140mm. Metal Tube and Metal Sheet Laser Cutter LM3015M3 are especially for cutting carbon steel plates(pipes), 0.4-10mm stainless steel, galvanized steel plates and pipes, electrolytic zinc-coated steel, 0.4-8mm aluminum sheet and 0.4-6mm brass and other thin metal materials. One important feature is the exchange table for uploading metal plates, saving time and cost. Double working platform saves time for feeding and laying-off. 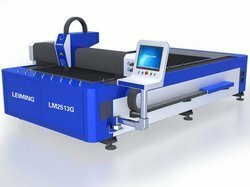 LM3015HM3 is the high-power metal tube laser cutting machine which is used to cut both metal tube and metal plates, it is equipped with a high-performance full-protection cover and auto-feeding table. Cutting metal sheets and metal pipes, high-performance cost ratio. Cut round tube diameter from 20mm to 200mm, square tube diameter from 20*20mm to 140*140mm. Full-protection metal tube laser cutting machine is especially for cutting 0.4-25mm carbon steel plates(pipes), 0.4-14mm stainless steel(pipes), galvanized steel plates and pipes, electrolytic zinc-coated steel(pipes), 0.4-12mm aluminum sheet(pipes) and 0.4-6mm brass(pipes) and other thin metal materials.